We’re inspired by the passage of the Portland Clean Energy Initiative this week, a ballot measure that will now provide $30 million per year for the city’s clean energy and climate work. Even better, the funds will target local energy deployment that lifts up low-income folks and people of color with energy savings and solar energy, as well as jobs installing these cost-saving measures. But there are other tools more readily at a city’s disposal for funding climate work. Many cities have an existing revenue stream that can be tapped for clean energy work: franchise fees. We just completed an explainer of this obscure fee system, but hundreds of cities across the country already collect these fees from gas and electric utility bills to support their general fund. The fees cover the cost of maintaining the public right-of-way utilities use for pipelines or poles and wires to deliver energy services. Previously, we’ve chronicled the story of Minneapolis, Minn., where the city leveraged expiring franchise contracts to get the utilities to join in support of its Climate Action Plan. 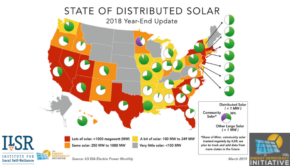 Additionally, the city recently increased its franchise fee by half a percentage point to provide more than $2 million per year for local clean energy deployment, particularly in underserved communities including renters, low-income customers, and neighborhoods with high numbers of people of color. 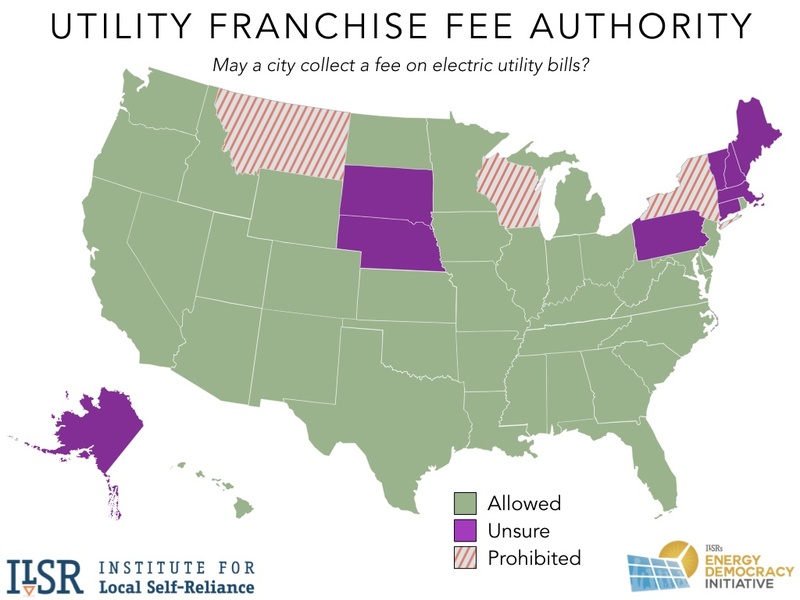 Cities in nearly 40 states have the power to collect franchise fees, although many have chosen not to. The following map from ILSR shows where states allow cities to collect such fees. As the number of cities committed to 100% renewable energy rises, we hope our new resource on franchise fees will enable more cities to consider them as a tool to advance clean energy solutions for their residents.